Please select from the gate styles below to see examples of our installations. These examples can help when deciding on the style of gates you might like. Remember, Enterprise Gates & Railings can taylor a bespoke gateway solution to your exact requirements. Do not hesitate to contact us for your FREE no-obligation quote. All of our wooden gates are constructed using timber from managed forests where particular attention is paid to replanting and regeneration. Being a natural product, our timber will contain knots and will be subject to movement and warping within accepted tolerances. The sizes quoted are nominal and it is wise to double check. 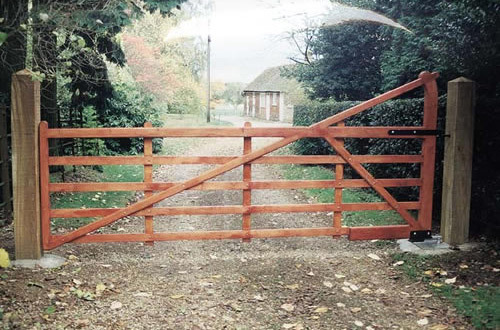 Our timber gates come in a natural finish, i.e. sanded ready to accept, stain or paint and given the correct maintenance, they will go on to give many years of satisfactory service.